Chief Jake Rehling lost his battle to an extremely rare form of T-cell Lymphoblastic Lymphoma Cancer on November 16, 2016. He left behind his wife Brooke and son Aiden. Chief Rehling was an extraordinary man, father, husband and friend; he will be truly missed by his entire community. 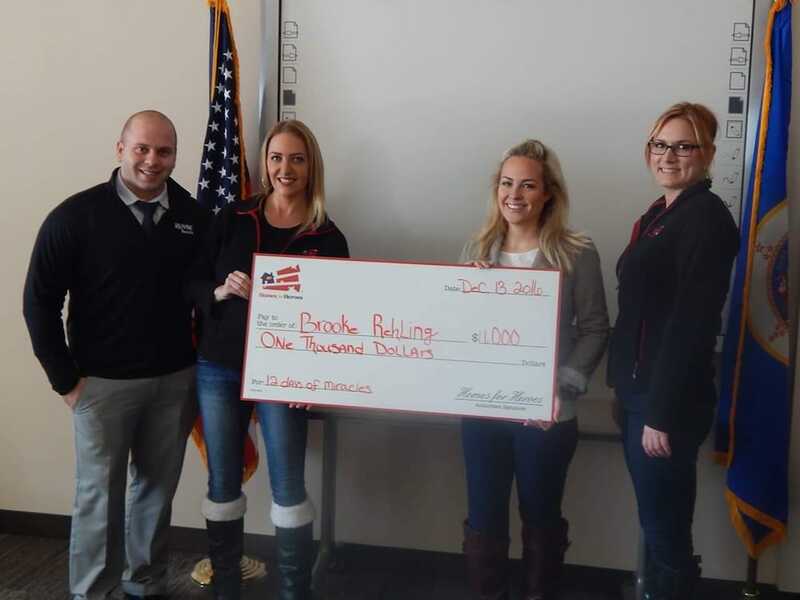 We were able to honor our Hometown Hero Chief Rehling by presenting his wife Brooke a check in the amount of $1,000 in his honor.Brooke was able to use her gift towards funeral costs for her late husband.